Remove the intake manifold cover. 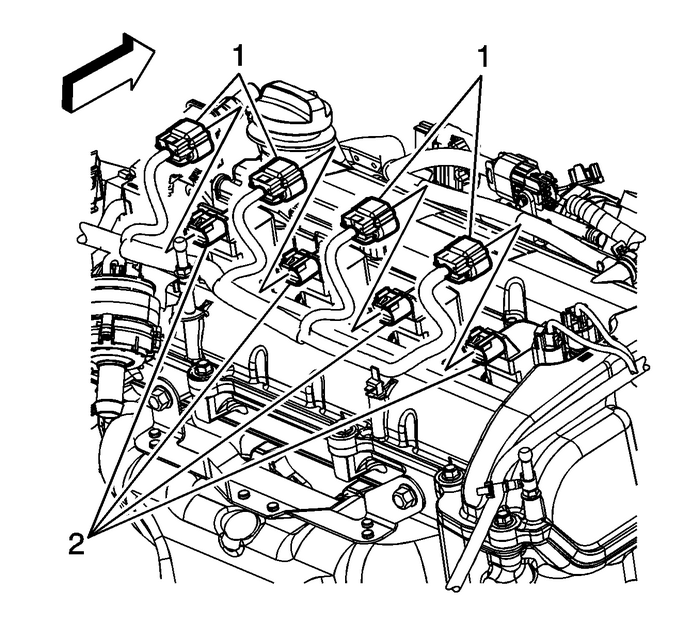 Refer toIntake Manifold Cover Replacement.Disconnect the engine wiring harness electricalconnectors-(1) from the ignitioncoil(s)-(2). 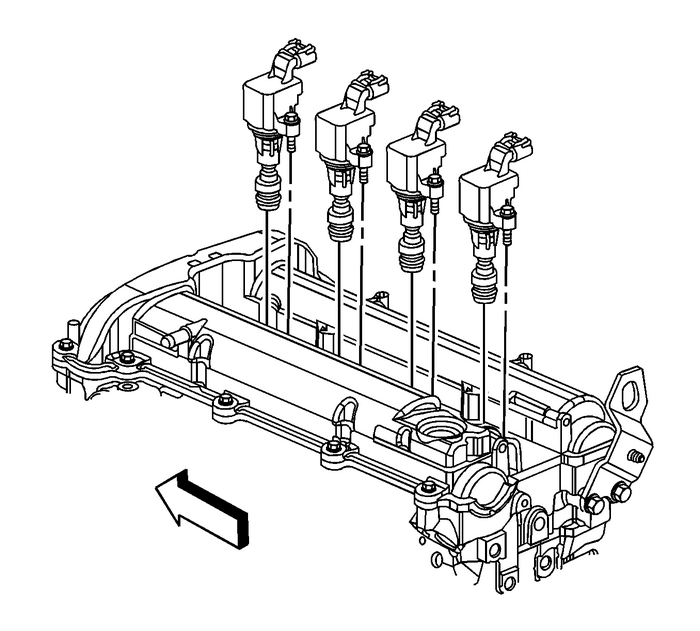 Install the ignition coil bolt(s) and tighten to10-Y(89-lb-in). Connect the engine wiring harness electricalconnector(s)-(1) to the ignitioncoil(s)-(2).Install the intake manifold cover. Refer toIntake Manifold Cover Replacement.